Festival season 2019 starts here: The Great Escape, the festival for new music, internationally renowned for breaking the best and brightest new talent for over 13 years, is here to provide the soundtrack to your future with The Great Escape FIRST FIFTY – a series of exclusive gigs over 3 days in East London from the very hottest new artists around. The artists announced to play this series of exciting live shows give a first glimpse of the talent lined up to play TGE 2019 and take next year’s festival season by storm. 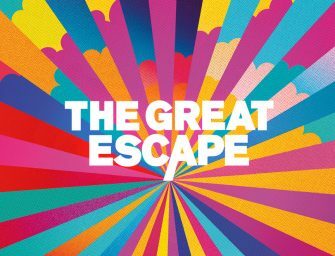 Returning for the third year, this November 27th – 29th, The Great Escape comes to the musical hotbed that is East London to celebrate the announcement of the FIRST FIFTY acts playing 2019’s festival with this very special series of gigs featuring some of the most highly anticipated talent to feature on the announcement.